The perfect place to host your next event may be a location you've never heard of--or even dreamed of--in your search for memorable meeting space. 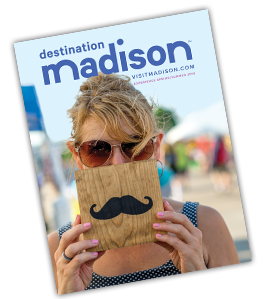 Whether you love lakeside vistas, or adore arts and architecture, or want an authentic experience you can only find in Madison, Wisconsin, we're here to help! Simply click "details" then "meeting facilities" within any of the listings below to discover room set-up options and other amenities available at each location.